Chart No. 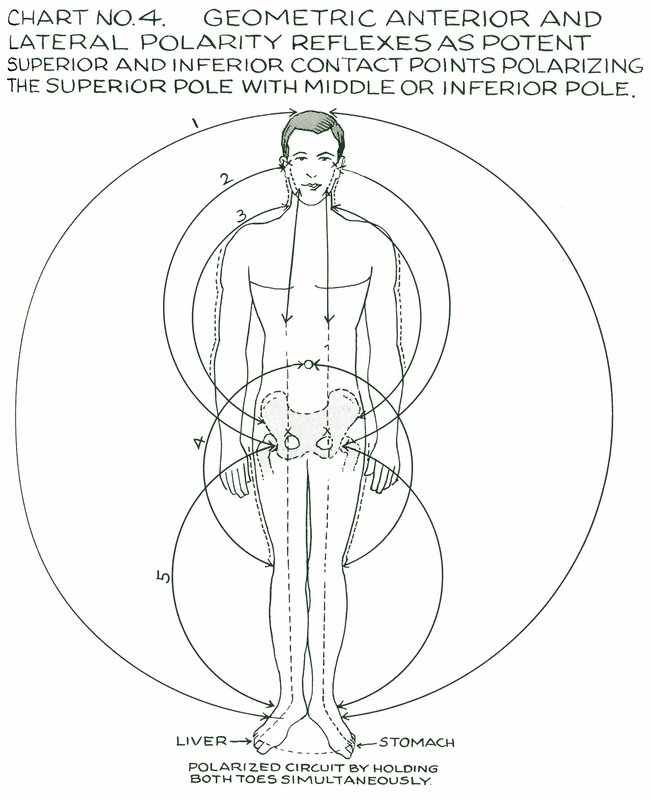 4 - Geometric Anterior and Lateral Polarity Reflexes as Potent Superior and Inferior Contact Points Polarizing the Superior Pole with Middle or Inferior Pole. 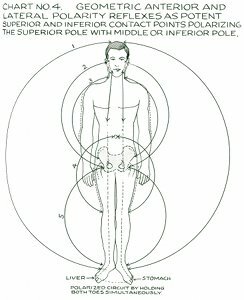 Polarized circuit by holding both toes simultaneously. 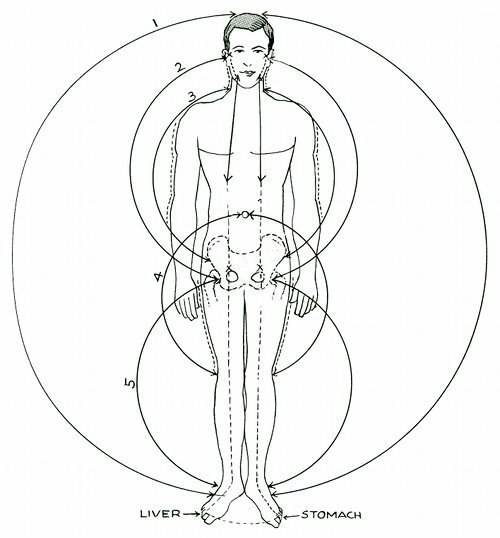 Book 3, "Explanation of Chart No. 4"